Our lovely village is holding its annual Open Gardens & Summer Market event. the beautiful gardens of the Manor House and Braithwaite Hall. 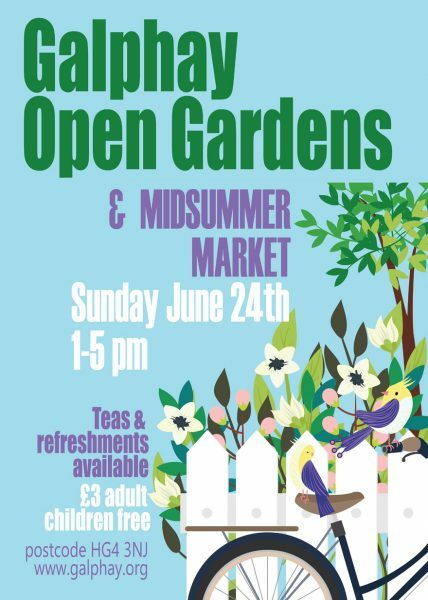 This year there will be a great midsummer market with a variety of stalls selling plants,crafts gifts and unique items. Refreshments will be available at the village hall and from various gardens. Hot food will be available from our local pub. £3.00 per adult, accompanied children free. Galphay Village Institute shared a post. Galphay Village Institute updated their cover photo.